Find facilities near to or in, Willersey. From Friday 22nd July 2016 and for every Friday from then on a mobile Post Office van will be outside the Bell Inn from 12:45 to 14:45. Most Post Office services are available including letters & parcels, banking, savings, insurance, travel services, broadband & phone and paper forms. Willersey is about 1.7 miles from Broadway depending on your route. Sadly the Willersey Post Office closed in May 2011 so other than the mobile Post Office, the nearest full time is now in Broadway. The Post Office in Shopwrights in Broadway has now closed. 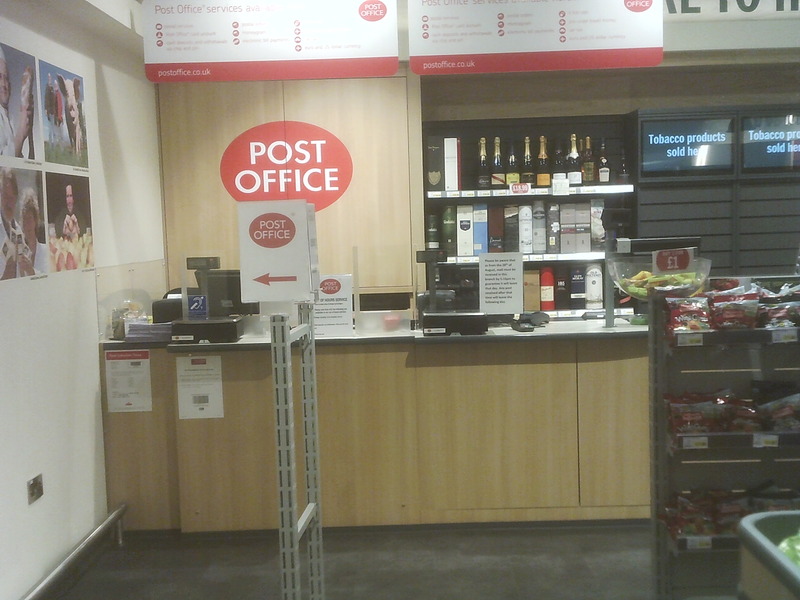 The Post Office is now in Budgens Supermarket. It is open from 9:00 to 17:30 weekdays and 9:00 to 12:30 on Saturdays. Reduced services are available outside these hours. The Post Office in Evesham opens earlier at 8:30am on Mondays to Thursdays. The nearest post office open on Saturday all day from 9:00 to 17:00 is in the Premier Stores, 40 Stratford Road in Honeybourne, WR11 7PP. With the reduction in the number of cash machines in the area, all Post Offices offer a cash out service on production of a bank card. The price of a First Class stamp has more than doubled since 2006. The next nearest post box in in Smallbrook Road, WR12 7EP near to the turn off from the Broadway Road. The only Saintbury post box is near to Saintbury Cross on the Stratford Road. 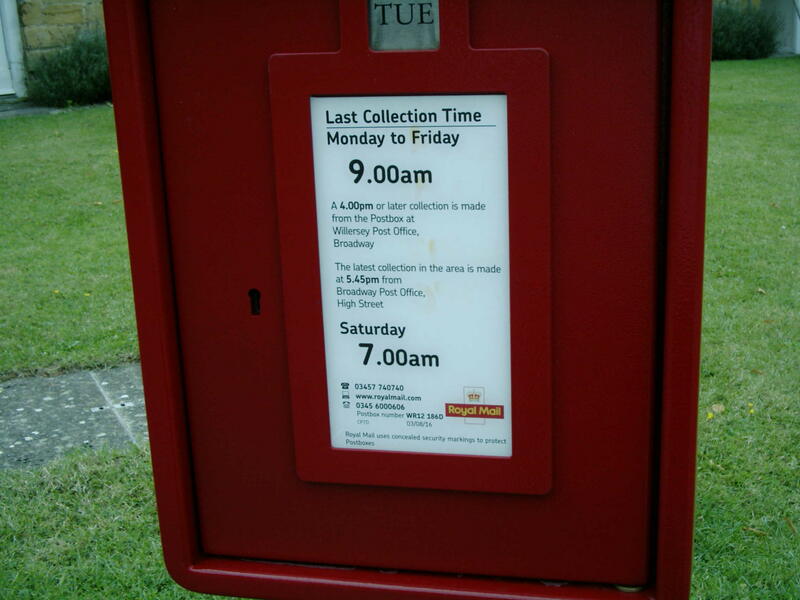 The last post collection in the area is outside Broadway Post Office at 5:45pm on weekdays and 11:00am on Saturdays. Barn Close Surgery, 38-40 High Street, Broadway, WR12 7DT is the nearest Doctor's surgery. Please dial 111 when out of hours. The Surgery held an Open Day on the February 1st 2018 about moving to a new location which will probably involve moving to a new purpose built surgery on Station Road, Broadway within the next two years. There is a pharmacy in the surgery at Barn Close for people who are not residents of Broadway such as Willersey. It is open on Mondays to Fridays only from 08:45 - 13:00 and 14:00 - 18:30. To avoid extra journeys, for a repeat prescription you can order on the internet but you have to fill in a form from the surgery and prove your identity first. Furthermore you can request that it be delivered to Willersey Stores, on a Thursday evening for Friday pickup. You will need to order at least a week in advance to use this service. There is also a pharmacy not far away in Lloyds Chemist Shop in Broadway High Street. Lloyds also offers an online prescription-only treatment service. There are a number of dentists in the area both private and NHS. This website gives a starting list but is by no means comprehensive. As well as our Parish Church of St Peters and Willersey Methodist Church, there is a Catholic Church and a United Reformed Church in Broadway and a Baptist Church in Chipping Campden. The nearest Quaker Meeting is in Broad Campden. 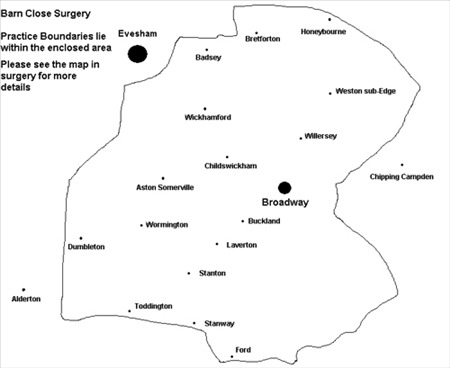 The nearest hospital is the Community Hospital in Evesham but the nearest A&E departments are in Worcester or Cheltenham. Do note that patients arriving by ambulance in Cheltenham between 8:00pm and 8:00am will be taken to Gloucester Royal Hospital. The local ambulance service in 2014 could have done with improvement and in 2015 it is still not reaching its targets. Check here for local ambulance response times by postcode. You might find this website useful for health advice and see here for more about this website. The nearest zoo for children (and adults) is All Things Wild near Honeybourne Station. The nearest Public Leisure Centre complete with swimming pool, gym etc is in Chipping Campden and the next nearest is in Evesham. There are allotments in Weston-sub-Edge. If interested please contact Chris Tombs 01386 840406. Broadway Golf Club is the nearest to Willersey. The library building on the Leamington Road in Broadway. Here are further details for the library. A mobile library visits Willersey once a month on a Thursday in week 4 near The Bell Inn from 13:50 to 15:50. The nearest Fire Station is in Broadway but because we are in Gloucester we are usually serviced from Chipping Campden. Hereford and Worcester Fire Authority confirmed funding in December 2018 for the re-building of Broadway fire station which is 55 years old. All staff and equipment from the existing station will transfer to the new facility when it becomes operational. Broadway Fire Station is crewed by 10 to 15 on-call firefighters and provides cover for an area of around 10 square miles, with almost 4,500 residents living in more than 2,200 properties. Planning and design work is expected to start in 2019/20 and a schedule for the build project will be confirmed once tender processes are complete. Willersey has its own petrol station on Main Street. The next nearest is in Broadway on Station Road by the railway bridge. We have five bins in Willersey. Please use them. One is on the right hand side of the footpath as you walk from Main Street to the Village Hall and just beyond. Another is on the bridge side of the entrance to the Industrial Estate in Badsey Road. The third one is on the south side of the Broadway Road at the entrance to Warner's Farm, another is in Collin Close near the footpath to Broadway and the last is in St Peter's Churchyard near the footpath to Saintbury. If you cannot find them then any waste bin will do. There is a waste bin near the pond and another outside the Village Stores. Please use the waste bins and clear up after your dog. It is unpleasant for others walking on our greens and is a health hazard. Here is a poster either as a pdf or as a document for you to print out and display to encourage people to clear up after their dog. You can buy dog waste bags at the Village Stores. The Lloyds Bank, the last in Broadway closed on 12th September 2017 and the ATM was also closed down. There is another ATM outside Budgens in Broadway. This is for Lloyds Bank customers only. No service on Bank holidays. 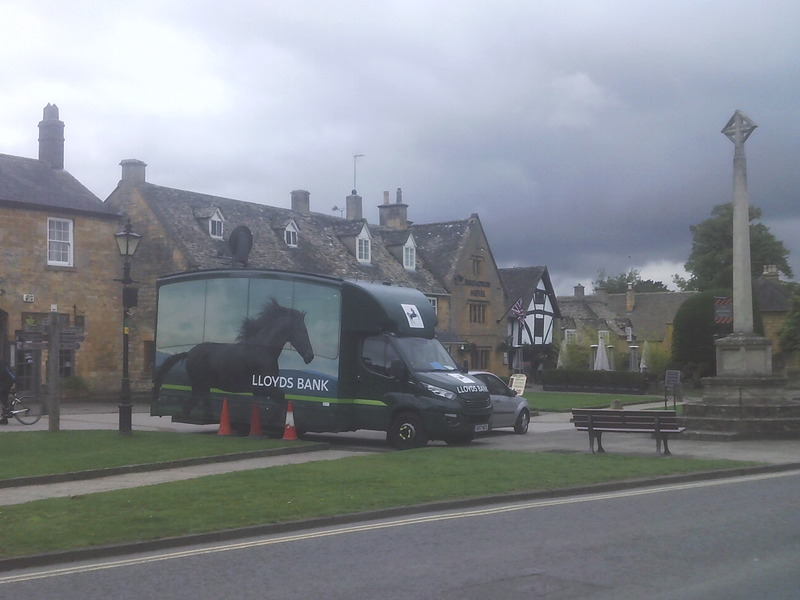 The next nearest ATM is an HSBC one in Chipping Campden near the Town Hall. Willersey Stores will offer you cashback of up to £50 if you spend over £5 with them or pay 50p, and use a debit card. You could do two transactions in a day like this for £100 cash. If you bank with all the major banks, you can use a bank card to deposit or take out cash at Budgens Post Office in Broadway. Small businesses can also get change for the till. 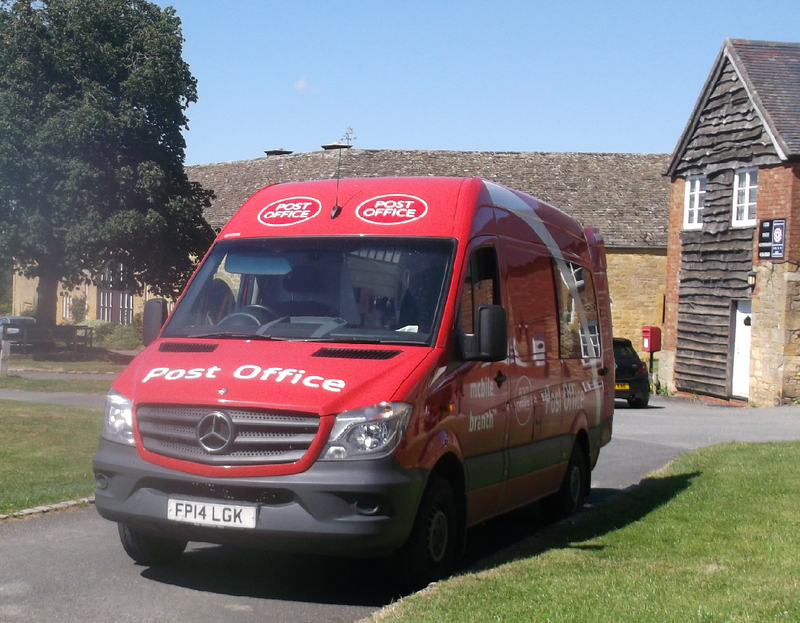 The travelling post office visits Willersey once a week on Friday from 12:45 to 14:45. If you want more banking services, then other than travelling to Evesham, using on-line banking is your best option. Evesham has a total of eleven banks and building societies. With a population of just under 23,500 in 2011 that's one facility for 2,136 people. Broadway had a population of 2,540 at the same time (without the huge number of visiting tourists). Broadway deserves at least one bank. The village has it very own good primary school right in the middle of Church Street. Prince Henry's High School The De Montfort School and Chipping Campden School. Willersey is situated within the school catchment area of Chipping Campden. The is no scout group in Willersey but several nearby villages do. Search here for details. The Cotswold Careline will also help you maintain your independence. The nearest machine for this is in the Morrisons Store in Evesham. Things to do near Willersey. This website is a useful way to find third party electric vehicle charging points. The nearest recycling facilities for paper, glass, cardboard, charity clothes and books etc are in the Milestone Car Park on the Childswickham Road in Broadway near to Broadway United Football Club, WR12 7HA. Here is a list of local Wychavon recycling banks. Great to visit at Stanway. Zoo animals with other attractions for children in Honeybourne. Open on the last Thursday of every month from 1 to 3pm at Signpost, 4 Russell Square, High Street, Broadway. 01386 859029. You can also contact the Cotswold CAB. Talk to us, The Samaritans for free any time you like, in your own way on 116 123, about whatever's getting to you. You don't have to be suicidal. The nearest public telephone box is in Smallbrook Road, WR12 7EP on the way to Broadway. Saintbury has a telephone box on its main street in the middle of the village. The Willersey telephone box is now closed and it has been bought by the Parish Council for a suitable alternative use. See more here. The police station in Broadway has been sold after closure. West Midlands Police have a facebook page. The nearest Gloucestershire Police Station is in Stow-0n-the-Wold. It is open from 8:30am to 5:00pm Monday, Tuesday and Wednesday. Tel: 01452 907273. You can find out about recent local crimes. Dialling 101 will by default take you to West Mercia Police. Take the option for other Police forces to contact Gloucestershire police. and as we live so close to Worcestershire, here is the same infornation for West Mercia Police. You can also sign up to receive Community Alerts. When you travel into between Willersey and Broadway, signs tell you when you change between Gloucestershire and Worcestershire. On Collin Lane, you move from one to the other at the sharp bend near the railway bridge. Regardless of which county you are in, the Police will serve you as rapidly as possible. The nearest Magistrates Court is in Cheltenham and the nearest Crown Court in Gloucester. Check to see if you can get high speed Broadband.